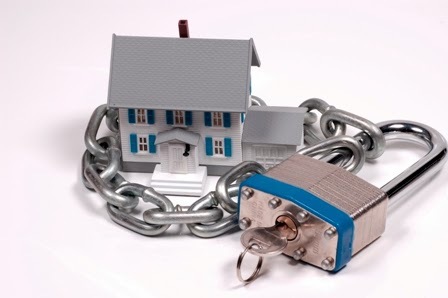 Home security is a priority on the minds of almost all home owners. With outstanding technology and smart home gadgets, implementing and maintaining complete home security is no longer a luxury for just expensive homes. With these five tech tools, you can be certain of your home’s and family’s safety. Although home security systems have been around for years, they have never been as high tech as they are today. Security system packages can be as advanced or relaxed as a consumer wants. From simply an alarm to whole house security, a security system can be tailored to fit the needs of each individual house. Most typical security systems come with an alarm, motion detectors, app alerts, window locks, and smoke and carbon monoxide detectors. Packages include a response from the security company as well as an alert to the police station. Homeowners can get ADT or a similar company known for its quick response times and respectable customer service. As smartphone capabilities increase, so do app abilities. While security companies offer apps with their home automation systems, there are additional applications consumers can purchase to implement further home security. Most of these apps, like Gemini IP Camera Viewer, attach to the home’s Wi-Fi network and can be used to track the areas in and around your home. You can access your IP camera video streams through Wi-Fi connection or via your cellular network. It is easy to zoom in on your camera feed and switch between additional cameras. There are other apps that can be controlled by a wireless network in order to take care of things such as turning off appliances, controlling the garage door, sprinkler system, and even monitoring who has been using the computer and what they have been viewing to ensure identity theft protection and keep kids safe from Internet predators. Apart from traditional home locks, there are a wide variety of technology savvy locks that homeowners can choose. Keyless locks have a compatible key code, fingerprint scan, voice activation, or phone activation. Some of these locks even come with a deadbolt that is pick proof. Others employ only a keypad or screen. Most of these locks can be programmed to be smartphone compatible. This allows homeowners to check their door from remote locations or let family members and loved ones inside even while they are out. From pool safety to GPS tracking, parents can keep their children safe even when they are away from them. There are different types of pool safety monitoring devices that children can wear while swimming. Parents must wear a similar device, which alerts them when their child struggles at all while in the pool. GPS tracking devices can be used through a cell phone or bracelet chip. Most of these devices include a panic button that immediately alerts parents via smartphone if their child is in danger. From property to family members, everyone can be certain that what they love the most is safe and secure with these protection oriented gadgets.